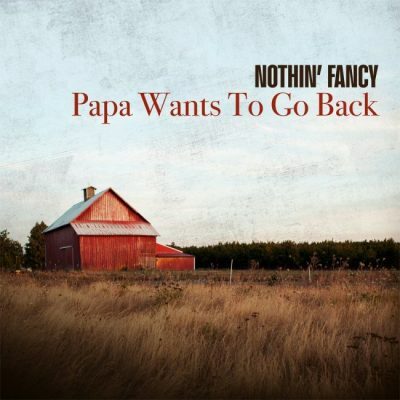 Mountain Fever Records announces the release of new music from Nothin’ Fancy. “Papa Wants To go Back” is available today and is the first single from the band’s upcoming album, Time Changes Everything (10/12/18). (10/12/18) is a perfect example of embracing that change, drawing from the strength of it, creating a new fresh sound, and remaining true to their goal of being themselves. Founding members Mike Andes (mandolin/vocals), Mitchell Davis (banjo), and Chris Sexton (fiddle/vocals) added brothers, Caleb (guitar/vocals) and James (bass) to the ensemble over the course of the last three years adding just the right mix of youthful energy to an already engaging and lively sound. 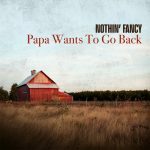 Written by Allen Mills, “Papa Wants To Go Back” was originally released in 1991 on Bluegrass Classics by The Lost & Found. Here, Nothin’ Fancy features Caleb on lead vocals and although the tune is happy in nature, the lyrics are quite the opposite: lamenting of an old man who begs his family to go home but no one has the nerve to tell him the real reasons he can’t.